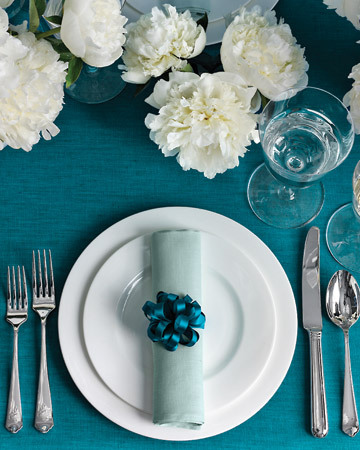 Martha Stewart Weddings featured this "bow tie" napkin. I thought, what a simple idea, why didn't I think of that? I guess that's why we have Martha. 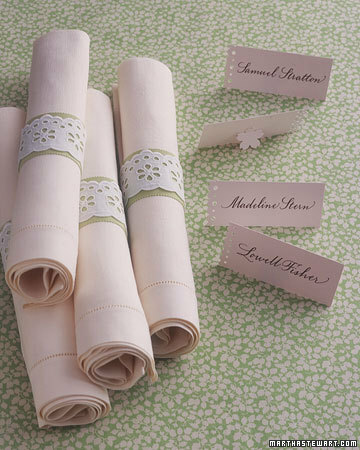 Here are some other simple napkin ring ideas found on the MS Weddings site. Those look just perfect. I like the ones with lace. The bow-tie napkins nice! Never thought of that before. I must try these ideas sometime. 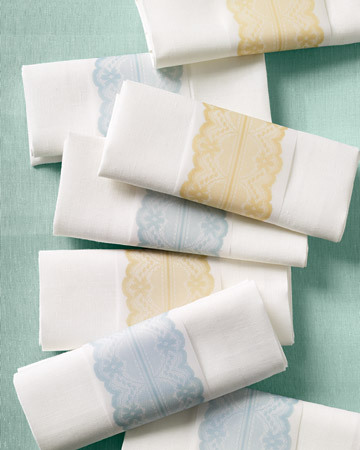 The lace napkin rings are gorgeous. Love your blog too! Alli these are adorable!! I love the lacey ones!! 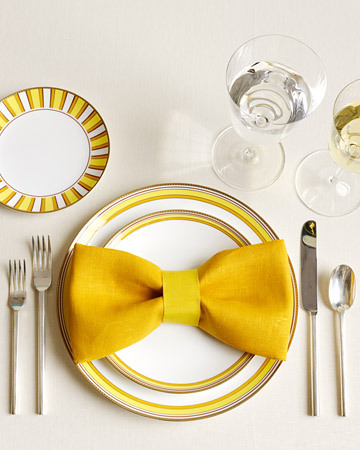 A bow tie napkin is adorable! Love it.